Cheetah Quick Release drills are the fastest & best change out bits available. Purpose built to save time and eliminate loose, misaligned bits. Featuring premium USA made Hi-Moly tool steel, 1/4" hex drive, mechanics length w/135° split point. 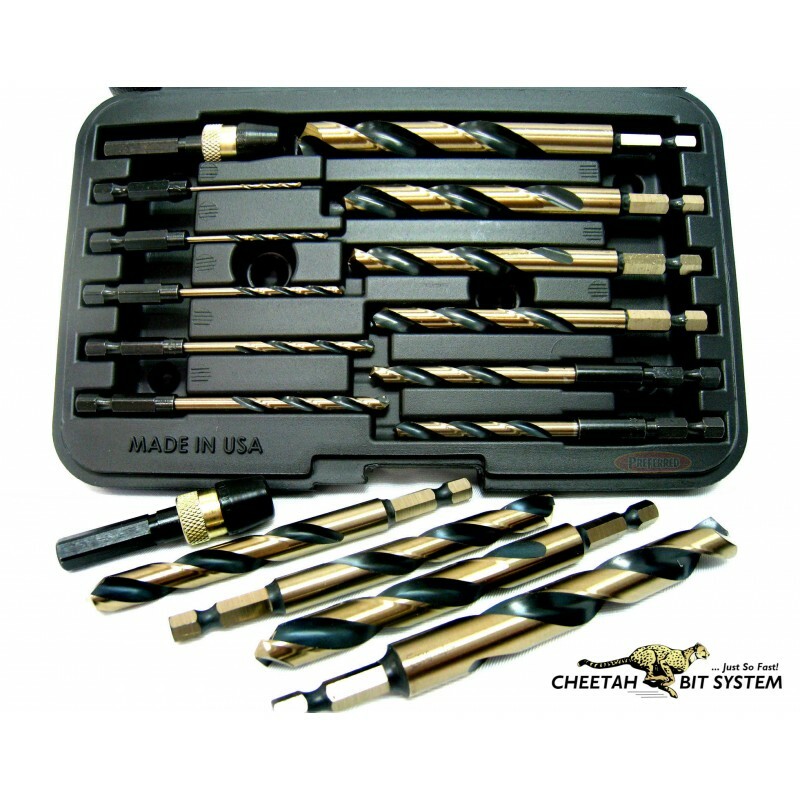 The Cheetah Bit System is an integrated line of Quick Release cutting tools and driver bits designed for use in portable drill and impact machines. Equipped with a heavy duty hex stem, the "LoknGo" drill, tap, fastener driver and collet system allows for rapid and secure loading without the need to re-chuck on change out. Cheetah Quick Release drills are the fastest & best change out bits available. Purpose built to save time and eliminate loose, misaligned bits. Featuring premium USA made Hi-Moly tool steel, 1/4" hex drive, mechanics length w/135° split point (no need to centre punch on curved or hardened surfaces). All sizes 1/16 to 1/2", "LoknGo" collet available separately.